For the people of the Christian faith worldwide, Easter is the most significant celebration in the calendar, even more so than Christmas. In the BEM church, Easter celebrations were traditionally held in one church in the Lawas district, and the Lun Bawangs would travel for days to attend the Irau Easter, which is celebrated over several days. This verse in the old testament foreshadows the resurrection and victory over sin and death. In the modern day context, Christians are encouraged and reminded to hold on to faith and hope, in facing the challenges in our day-to-day living, and in dealing with our worries and fears over our freedom of religion. Many people today are concerned with the spiritual aspect of life, especially the freedom to practise the religion of their choosing. The kidnapping of Pastor Raymond Koh and the disappearance of Pastor Joshua Hilmy and his wife without any satisfactory response by the authorities is seen to be a threat to our freedom of religion. At this time, we must hold on to the assurance that out of darkness, there will come light, and that righteousness will triumph over evil, no matter how long and arduous the night might be. It is a sign of the desperate times in our country is that religion is being politicised by certain parties to jostle for power, and many people are unwittingly being drawn into the fray. The latest example is the RUU355, which besides being unconstitutional, was used ruthlessly and unashamedly by the government to manipulate PAS for political support. Religion is a personal matter between a person and his God, and the government must stay out of religion. In this context, it would be prudent for the Sarawak leaders, who have had good understanding and appreciation of the importance of freedom of religion since the beginning of Malaysia and even before then, to continue to lead by example and to stand firm on religious freedom as advocated for us by our forefathers. Notwithstanding the grim and bleak state of our nation, Good Friday and Easter Sunday celebrations remind me to find solace in the spiritual and in our faith. Perhaps we should all take time this Easter to pray for our country and her leaders that we may continue to live in peace and harmony. I wish all Christians a blessed Easter. MP SPEAKS It's been a few days now since the first Parliament sitting ended, but the last two days of the proceedings stick out like pointy edges, nudging me to write down my thoughts. The developments leading to the parliamentary debate on the Syariah Act amendments (Act 355) will go down as the lowest point in the institutional life of the highest law-making body in the country. The assault on Parliament hints at a cleverly prepared and coordinated exercise between the government and the Parliament Speaker's Office. Yes, you read that right: between the executive and legislator. This violates the notion of separation of power and brings forth the pivotal question of what more the Prime Minister, Najib Abdul Razak, would do to stay the top man in the country. The day before Parliament ended, debate on important bills were furiously rushed, with five bills inexplicably postponed for the July sitting. Lawmakers were forced to debate bills up to 5am the day before, just to accommodate the debate on the syariah law amendment bill, which seeks to give power to state legislation to increase punishment for syariah offences. The bill was sneakily fast-tracked from item Number 12 of the parliamentary Order Paper to be debated on Thursday last week. In fact, the entire parliamentary sitting on that day was dedicated to the debate on the bill introduced by the Marang MP Abdul Hadi Awang, who is also the president of the Islamic party, PAS. And we are still waiting for the speaker of the august House to explain why a private member's bill took precedence over government bills. The mockery of Parliament didn't stop there. The Islamic party was given about two hours to make its case and Parliament was adjourned abruptly, without giving Pakatan Harapan an opportunity to respond, which is normally the case. It is now public knowledge that events leading to the debate and conduct of the speaker was decided at the Barisan Nasional supreme council meeting. Leaders of the BN parties were told that the PAS president will be allowed to introduce the amendment, and that no debate would be allowed. The speaker of the Lower House executed the orders of the ruling government. At the heart of Hadi's controversial bill is the need to stay relevant and to win the next general election for the two Malay-Muslim political parties, which are considered weak at this time. Prime Minister Najib’s popularity dwindled as a result of the 1Malaysia Development Bhd scandal and the Islamic party's popularity dropped due to poor performance in the state of Kelantan. PAS has kept eerily silent on allegations of financial embezzlement levelled against Najib. So, the bill is a grand reunion of nemesis-turned-allies securing their vested interests. Here, Najib has the advantage, given the resources and state machinery available to him. He broke up the opposition coalition capitalising on the unresolved thorny issues and growing conservatism within PAS with the primary aim of manipulating PAS to secure the Islamic party's rural base. Meanwhile, PAS needs to flex its muscles through the bill to stay relevant to its support base and has to work with Umno to push through its agenda. How this drama will unfold is anybody's guess. But it promises to be a continuing saga, similar to an Indian drama, especially when the director is quite clueless as to how to conclude a popular serial. But what is clear is that Najib will use every chapter in his playbook to stay in power. And this might involve an unwritten - BN plus1- formula to face the opposition in the coming election. And PAS might take up this offer, for it could earn the party a place in government. Alternatively, Najib could cut the Islamic party out if he finds that an Umno-PAS pact is not a winning strategy. At the end of the day, it is not about Hadi's bill but the survival of Najib. It's unclear as to why Hadi doesn't see through this shadow play. But the victims of this unending greed for political power are the Malaysian citizens who feel powerless when institutions designed to protect them are manipulated to protect one man. Hakam president Ambiga Sreenevasan at the gathering for Pastor Raymond Koh on Saturday. She says the police must do more to reunite the missing with their families. – The Malaysian Insight pic by Seth Akmal, April 10, 2017. HUMAN rights society Hakam today expressed concern over the disappearance of former PJ councillor Peter Chong Fook Meng and four others who have gone missing in the past six months, adding that such incidents should not become part and parcel of our way of life. “We do not wish to see our country descend into a lawless state where such disappearances become part and parcel of our way of life,” said Hakam president S. Ambiga. She said although Hakam supports police’s efforts in investigating these disappearances, more must be done and be seen to be done by the authorities. She hoped police would do what was needed to ensure that the victims were reunited with their families. Ambiga also urged the Human Rights Commission (Suhakam) to address the matter directly with the police and the home minister. She said the abduction and disappearance of several people lately, including Chong, in certain circumstances indicated the use of extra legal means by highly trained individuals. Such abductions, she said, in international human rights law were called “forced disappearances” which were supported by the state or organisation which went against international human rights law and undermined the rule of law. Chong disappeared on April 5, almost two months after Pastor Raymond Koh was abducted. Chong went missing after he went out to meet a friend for a drink on April 5. Prior to the disappearance, the 54-year-old posted on his Facebook page a meeting with a stranger who warned him to be careful. The stranger said he recognised Chong because he liked to go to protests and candlelight vigils. Chong’s disappearance followed that of Koh, social activist Amri Che Mat, Pastor Joshua Hilmy and his wife, Ruth. On Saturday, Ambiga attended a gathering organised by Suaram at Dataran Merdeka to raise awareness of the missing Koh, Amri, Joshua and Ruth. She told a crowd of about 150 that all four worked for the poor and needy, they did things that other people did not want to do and they should not be treated this way. – April 10, 2017. The RUU355 bill was not voted on last week despite it being tabled. – The Malaysian Insight pic by Hasnoor Hussain, April 10, 2017. FORMER Umno MP Mohamed Tawfik Ismail, who recently sent a legal notice to the Dewan Rakyat Speaker and secretary to stop the tabling of the RUU355 bill, today sent them a supplementary affidavit for violating the principles of the Rukun Negara after the bill was tabled. RUU355 refers to PAS president and Marang MP Abdul Hadi Awang’s private member’s bill to amend the Shariah Courts (Criminal Jurisdiction) Act 1965 to increase the maximum punishments for jail, fine and whipping. The bill was tabled last Thursday at the Dewan Rakyat, despite Tawfik filing an earlier suit against Speaker Pandikar Amin Mulia and secretary Roosme Hamzah for accepting the bill. In the first suit, Tawfik said the bill should not have been accepted by the house without the consent of the Rulers’ Conference, as it was a matter of religion. He also said the bill had failed to follow parliamentary procedures and was flawed. In the latest affidavit, Tawfik said: “It is incumbent for the court to prevent the violation of the spirit of the constitution when the speaker of the house had shown neglect, failure and/or refusal to abide by the constitutional provisions to refer and consult the matter with the Conference of Rulers, and which violates the standing orders of the Dewan Rakyat in light of media reports that the Hadi’s motion will be tabled on Thursday, April 6”. Tawfik cited news reports on the government announcing it would take over RUU355, and then deciding against it, before allowing Hadi to table it as a private member’s bill. “I verily state that the government’s capricious stand in the inconsistent announcement by the deputy prime minister and prime minister shows that RUU355 is merely a political posturing and play by Umno and PAS for political mileage for the 14th general election. “Therefore, RUU355 is not a genuine promulgation of laws for the good of Malaysia and her citizens,” he said. He also said the tabling of the bill was an abuse of the process of promulgation of laws using religious sentiment for political purpose, and was in contempt of Parliament as a sacred institution. Because of this, he said, Parliament was now embroiled in the promulgation of a law that affected national policy, which created discrimination among Malaysians on the basis of race and religion. The supplementary affidavit was filed at the Kuala Lumpur High Court last Friday and served to the defendants today. – April 10, 2017. The universal tax has served as a lifeline, but unfortunately the government has failed to institute a cautious and prudent fiscal policy. Two years after the government implemented the GST on April 1, 2015, are Malaysians used to it now? Goods prices have been on the rise and the people’s consumption power is declining since the introduction of the 6% GST. The consumer price index (CPI) was up 4.5% in February while vehicle sales had dipped by 13% to 580,124 units last year, the lowest in six years. With bank loan rejection rates up to 70%, the percentage of unsold new units by members of the housing developers association (Rehda) soared to a high of 61% during the first half of 2016, compared with 48% a year ago. The Barisan Nasional (BN) government had anticipated that two years after implementing the GST, the national treasury would be fattened, the rakyat would be suitably adapted to the new policy and negative sentiments would be minimised so that the general election could be held any time. But things have not worked out that way. The public still have not found themselves used to the GST after two years, especially with prices of goods skyrocketing and salary growth stagnant, making the 6% universal tax an added burden. To be honest, higher goods prices could not be wholly attributed to the GST alone, other factors have also contributed to uncurbed rising prices, including the abolition of subsidies, depreciation of ringgit as well as higher rents and worker salaries. Fuel subsidies were completely removed in December 2014 and replaced with a managed float mechanism. If the international oil prices remain sluggish, it wouldn’t be a problem if ceiling prices of fuels are announced weekly. However, after Opec and other oil producing countries sealed an agreement on production cuts late last year, oil prices have been going up steadily, culminating in the 4.5% inflation rate in February, which is substantially higher than a bank interest rate. The government lacks an effective strategy to curb inflation and reduce Malaysians’ cost of living. Statistics show that the February food and non-alcoholic beverage index, which makes up 30.2% of the CPI, jumped 4.3%. If the government had focused on agricultural production, we should have been able to cap the inflationary pressure by cutting down food imports. Subsidy rationalisation has not only impacted the livelihood of the people, but has also raised the production cost of businesses. For instance, traders are transferring their increased overheads to consumers as a result of dearer industrial gas. The government bagged in RM41.2 billion from GST collection last year, but this amount has been largely used to plug the massive hole of government expenditures while only a small fraction has been set aside for BR1M and hardly anything to stimulate the national economy. By right, with such an impressive GST collection the government should have brought down vehicle taxes, as exorbitant car prices have squeezed the wallets of the medium- to lower-income groups, depriving them of the ability to spend. 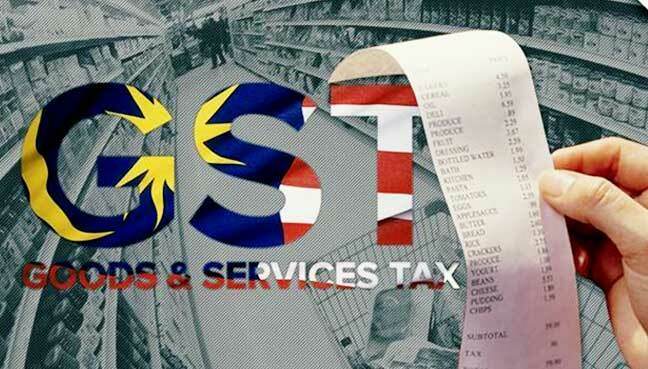 Indeed, the GST has served as a lifeline for the federal government, but unfortunately the government has failed to institute a cautious and prudent fiscal policy to allow the GST proceeds to manifest its economic-boosting effects to lift the country’s overall competitiveness. Even as the government has slashed the expenses of various departments, the finance ministry lately sought parliamentary approval to increase RM3.081 billion in the fiscal budget. Such overruns seem to have evolved into an annual event, showing that the government has never managed its finances seriously. The government plans to introduce the Employment Insurance Scheme (EIS) this July with the premiums being paid annually by both the employers and employees. The government is not going to shoulder the burden in any way. No doubt the government has been working very hard to lure foreign investments, including a Digital Free Trade Zone to be jointly established with the Alibaba Group of China, while Saudi oil company Aramco has pledged to invest US$7 billion in the RAPID project in Pengerang. The effects of these mega investments will nevertheless not materialise within a short period of time. Moreover, to enhance the income of Malaysians, the government must decisively implement structural reforms in a bid to stimulate economic expansion. Consumption power has yet to return to the levels two years ago because we have not done enough in introducing economic reforms over the period. Local businesses are still very much labour-intensive and dependent on the foreign workforce, while the government still carries on with its decades-old racial policy instead of meritocracy. Large sums of money must be invested in order to jumpstart near-term economic development, but unfortunately the government does not have the financial ability to do so. As such, it still has to bear the pains of reform. Two years on, BN’s plan does not seem to be working and the economy is not getting any better. How do you call an election this way? The truth is not something one can easily change with loads of political propaganda. Lim Sue Goan writes for Sin Chew Daily. Law reforms meant to prevent unilateral conversion have been postponed to the next Parliament session. The Law Reform (Marriage and Divorce) (Amendment) Bill was among five government motions in the Dewan Rakyat which was postponed after a marathon session in Parliament ended at 5.05am. The only motions left in the House order paper are from the opposition, starting with PAS president Abdul Hadi Awang's bill to amend the Syariah Courts (Criminal Jurisdiction) Act. Indira Gandhi, whose legal battle for the custody of her three children who were unilaterally converted by her ex-husband has made headlines for the past eight years, lamented the development. "I am sad and disappointed, I have been waiting for eight years. "Assurance after assurance were made and I was happy when it came to Parliament. "(But now) when can I move on with my life? How many more years do I have to wait?" a distraught Indira said at a press conference in the Parliament media room today. The bill sought among others, to resolve problems regarding unilateral conversion. First tabled in November last year, the bill seeks to resolve problems arising from divorce and child custody issues after a spouse has converted to Islam. The bill seeks to include a new provision that stipulates that the religion of any child of a civil marriage shall maintain the same, even if one spouse converts to Islam, with the exception that both parents agree to the conversion with the child's consent. The bill was tabled after continued pressure over cases such as Indira's and S Dheepa's, whose ex-husbands converted to Islam and unilaterally converted their children, leading to prolonged custody battles. Ipoh Barat MP M Kulasegaran, who was also at the press conference, said he was assured by Deputy Prime Minister Ahmad Zahid Hamidi that the bill would come to pass in this current parliament session. "I spoke to Zahid, he assured there would be no hindrance and that no one can stop it," Kulasegaran said. Zahid had made the assurance on Tuesday, saying it was in the country's interest. Kulasegaran added that he was seeking to meet Prime Minister Najib Abdul Razak urgently, so that the bill can be brought to the House today. Today is the last seating for the last meeting of the Dewan Rakyat. Swiss attorney-general Michael Lauber expressed confidence yesterday that his money-laundering probe into scandal-hit Malaysian fund 1MDB would bear fruit despite Malaysian authorities' refusal to cooperate. "It's not hopeless, in fact it's the opposite," Lauber told a news conference, saying the probe was making progress based on money-laundering reports, bank documents and work with Singapore and other countries. "It would have been very desirable from our perspective if Malaysia had cooperated," he said. But "we're still confident that we can successfully conclude the process in this area, in particular in the open cases against the two banks," he said, referring to Swiss private banks BSI and Falcon. Malaysia again rebuffed Switzerland's request for legal assistance in probing 1MDB, Lauber's office had said in November. 1MDB, once a pet project of Malaysian Prime Minister Najib Abdul Razak, is under investigation in at least six countries over billions of dollars of suspected misappropriations. Presenting his 2016 annual report, Lauber outlined OAG activities including its investigation of bribery linked to Brazil's oil firm Petrobras, investigations into world soccer body Fifa personnel, and tracking terrorist financing. "This place (Switzerland) is not a safe harbour, not for terrorists, not for money launderers, not for international corruption," he said. "We don't tolerate things like 1MDB, we don't tolerate things like Petrobras, we don't tolerate things like the whole Fifa soccer complex." In the Petrobras case, the OAG said it has confiscated US$1.1 billion in assets linked to the Brazilian oil group, up from US$800 million in 2015. More than 1,000 Swiss accounts have been examined, including from Brazil's former speaker of the lower house, Eduardo Cunha, who was jailed last month. Investigations into Sepp Blatter, ex-president of Fifa, on corruption charges and into Franz Beckenbauer for his role in Germany's bid for the 2006 World Cup were continuing, it said. Lauber said he was also in touch with Dutch authorities over an international investigation made public today into suspected tax evasion and money laundering via Credit Suisse accounts.